You can calculate hydrocarbon, Alcohol, Ester, Carboxylic Acid , Keton only. If you are lucky enough your browser support old JAVA and proper setting of JAVA option, you will see the window like below. 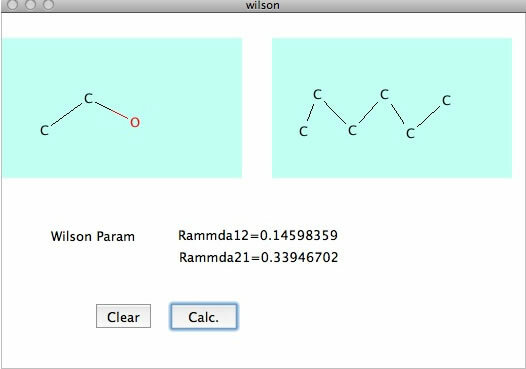 Draw molecule and click Calc. button, you will get Wilson parameters.